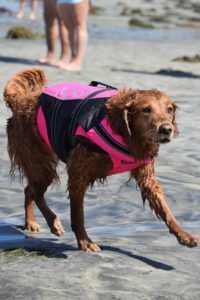 Ricochet the female Golden Retriever and four-legged superhero has been making her mark on the world ever since she was a six-week-old pup bouncing off the walls, hurling herself into her life’s purpose and earning her namesake. 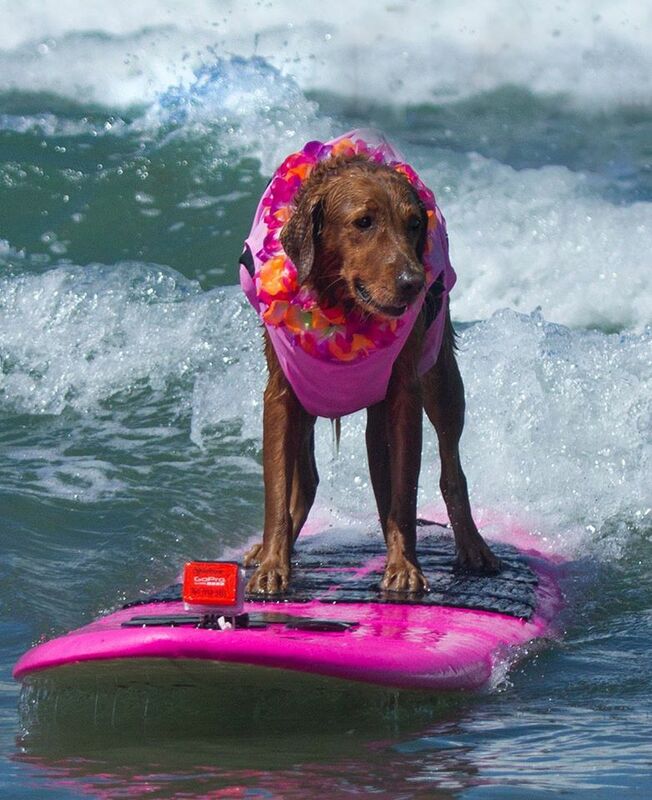 I’m not sure what I love most about this canine crusader – the fact that she’s capable of hotdogging a boogie board, the idea that she’s a dog, or is it that she is quite simply a she? 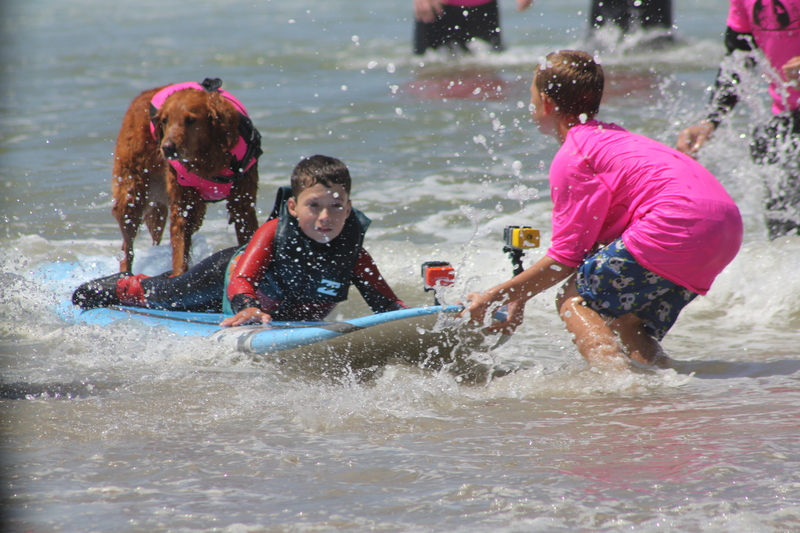 Brace yourself – this one is going to give you a serious case of the feels, because Ricochet does much more than surf. 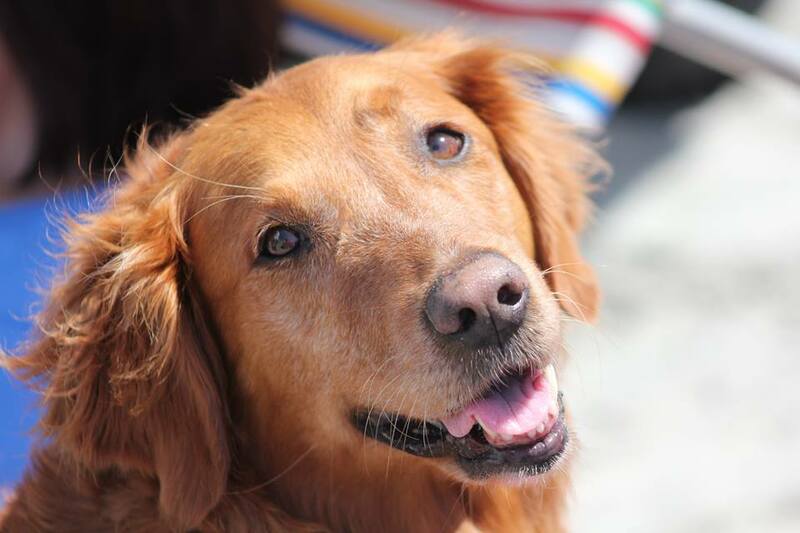 Ricochet, Ricki for short was born to be a service dog. Literally. 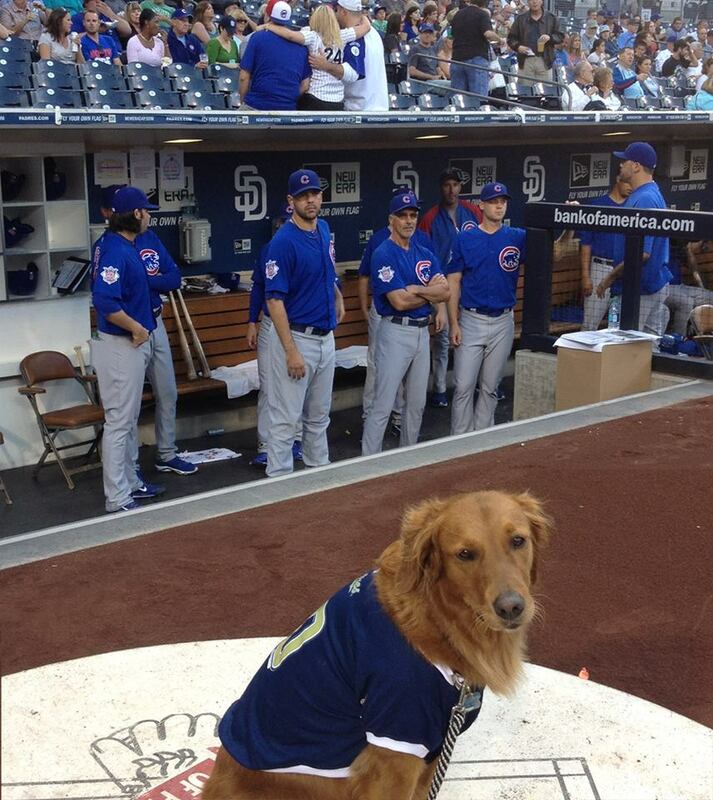 She was born into a program called Puppy Prodigies Neo-Natal & Early Learning Program based in San Diego county, CA. Here, her trainer Judy Fridono specializes in the early learning and development of potential service dogs. 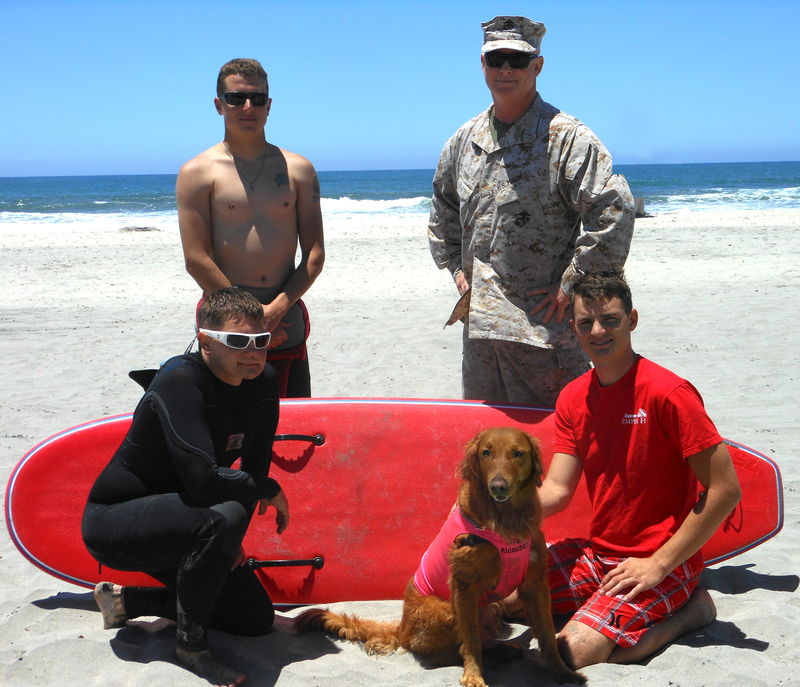 Ricochet was being trained to become a potential service dog for a person with a disability. She excelled at her training, showing empathy and control, but at nine months of age, she also showed a strong will to define her own purpose in life. 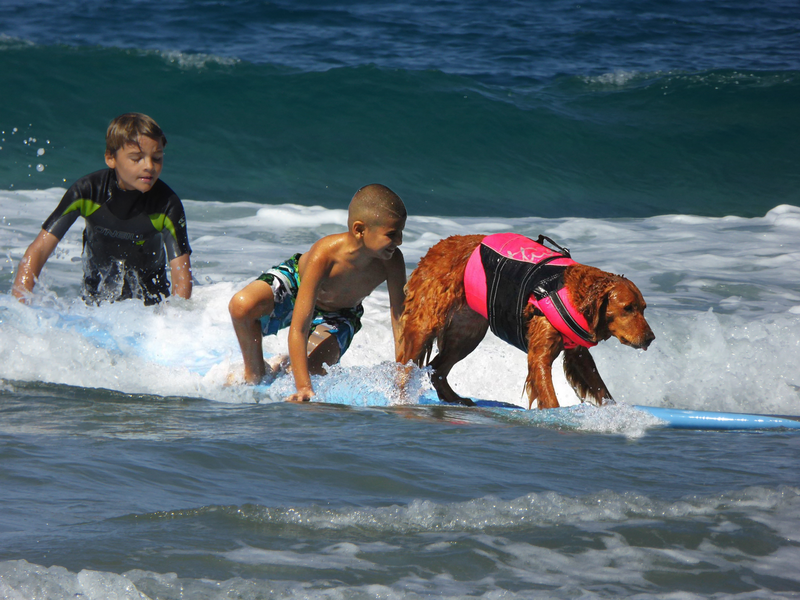 To become a SURFice dog. Ricochet decided she had many lessons to teach us. We all have dreams, and Ricochet’s was to bring service dogs to a whole new light. 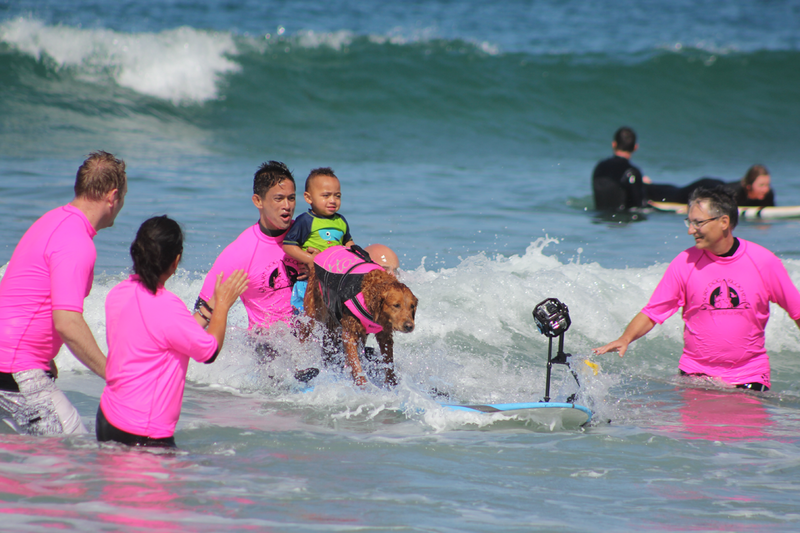 At just eight weeks of age, she climbed onto a boogie board in a kiddie pool and the rest is history. From kiddie pool to the ocean – in no time she progressed to the point that she no longer needed her human for assistance. 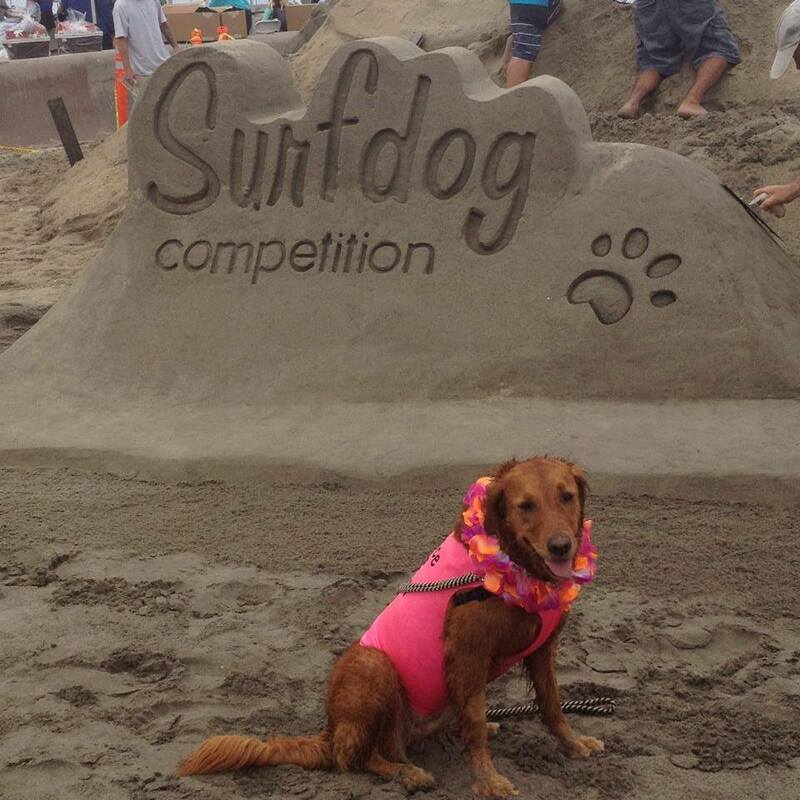 In 2009 she entered her first surf dog contest and before she knew it Judy was audience to Ricochet showing off her skills to massive crowds filled with supporters and even surf pros. Now, you may be thinking this is where her story ends. Guess again. Her true calling was so close now she could taste it. That boy was Patrick Ivison – at 14-months Patrick was run over by a car, suffered a spinal cord injury and was diagnosed a quadriplegic. Patrick had a dream to one day walk across the stage at this high school graduation to receive his diploma. 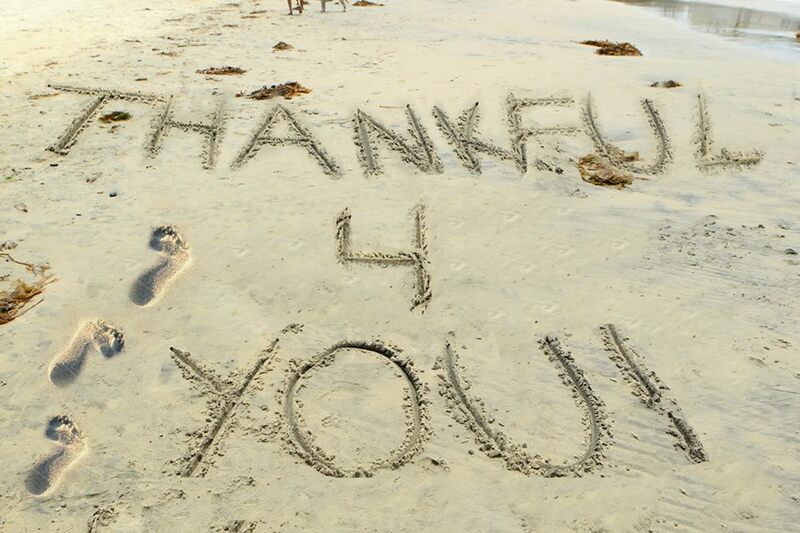 Ricochet raised $10,000 to help fund his recovery. Thanks to the Rose Foundation, Patrick DID walk across that stage and Ricochet was there to watch. 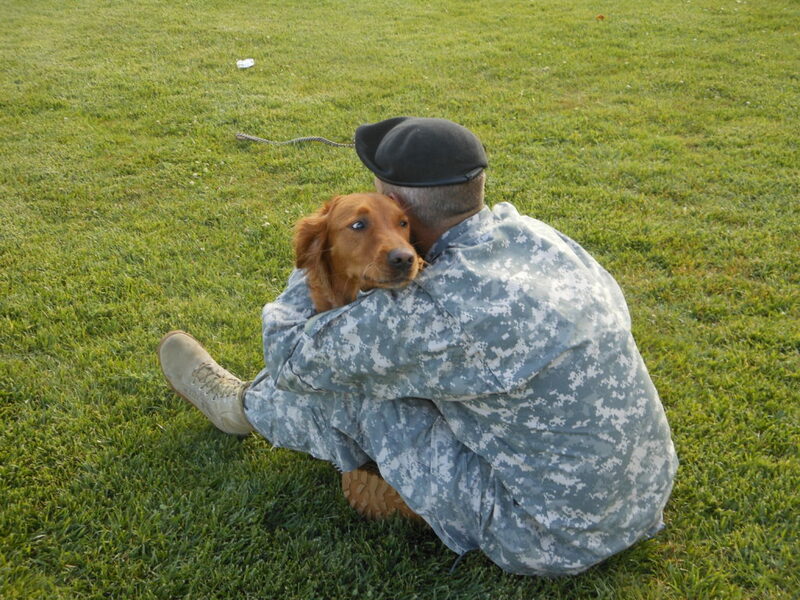 Anyone who has a canine companion can attest to their unique ability to pick up emotional and physical cues from the humans they have developed a strong bond with. Ricochet is showing this kind of intuition with complete strangers, identifying with such emotions as anxiety, pain, and stress. Judy explains that Ricochet will often mimic their feelings and emotions, her way of communicating what the person is feeling. 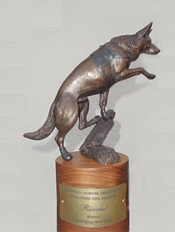 Judy believes that all animals are intuitive and communicate this gift in unique ways. She goes on to say, “We often misunderstand their ability to mirror our emotions and mistakenly label their behavior as bad or unruly. By missing this we also lose out on a magical and unconditional bond.” Dogs are always communicating, if we just allow them to teach us their purpose. So, what is a SURFice dog? 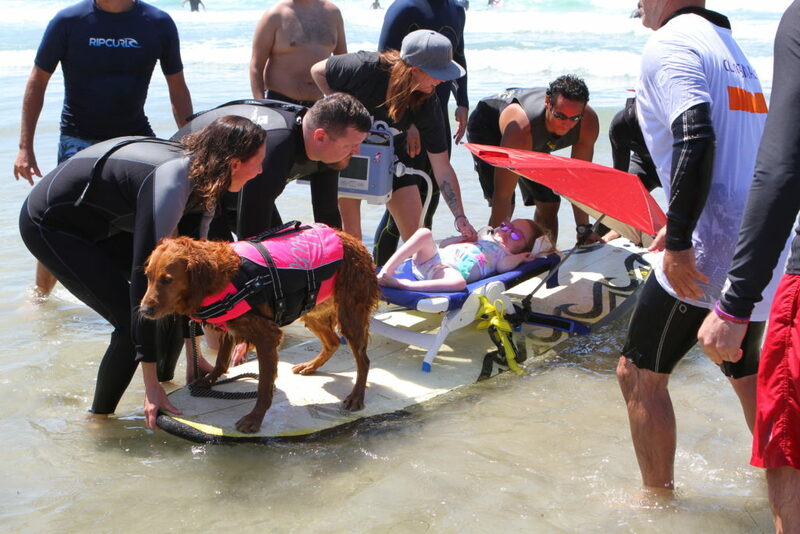 “The mission of our SURFice dog initiative is for Ricochet to achieve her highest paw’tential by serving in the role of a SURFice dog and assistive aid for people with disabilities, kids with special needs, wounded warriors and veterans with PTSD.” Although Judy likes to give Ricochet most of the credit, we can’t forget that without her passionately dedicated human work none of these milestones could be met. It is remarkable what they have accomplished together, as a team. 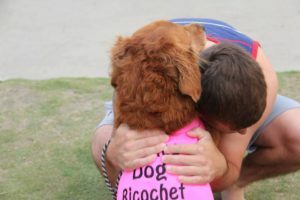 Ricochet has become so famous that she even has her own paw’parazzi – she can be found in blockbuster movies, documentaries, film festivals, sporting events, and featured in thousands of local, regional, national and international media sources. Stay tuned…we just know Ricochet has many more lives to change, stories to tell, and lots more surfing to do.